Just finished reading Twilight, waiting for the next season of Vampire Diaries, and not old/mature enough to enjoy the novels of Anne Rice? Then ‘A Shade of Vampire’ is an ideal hit when you’re jonesing for a bit of Vampire-Romance. For what it is, ‘A Shade of Vampire‘ is alright. It’s a story about a young girl who falls in love with a semi-abusive over-protective supernatural being, and becomes the catalyst for the male lead’s character development. I do enjoy a bit of fluff here and there, and this story is excellent for that. It has all the right elements to create a Twilight-like reading experience, and if that is what you’re looking for then this is the book for you. 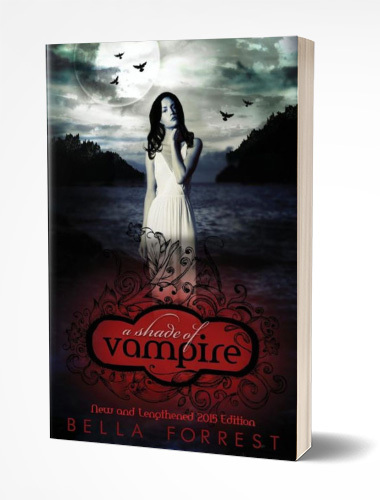 However, if you’re looking for a book with a little more substance, ‘A Shade of Vampire‘ falls short. The main female character (Sofia) goes from mentally unstable, extremely introverted, insanely shy to heroic, headstrong, and outspoken in the space of about a page. Bella Forrest doesn’t allow the character to develop in a realistic fashion, making it difficult to connect with Sofia and take her seriously. Is good for: People who think Twilight & Fifty Shades are the bees knees. Is not good for: People who think Twilight & Fifty Shades are a waste of time. Find ‘A Shade of Vampire’ on Amazon or Goodreads.